Christopher DiNunzio has been making films since 2009, and over the years he’s written ten films and directed 9. While none of these films have the same plot lines, they all have common threads. They are all looks into people’s darker sides, and they are all darker in their cinematic appearance as well. They all focus on redemption of some sort, whether that of the gangster gone wrong, of the mourning husband, or of the over-taxed cop who cuts corners here and there. Each of his films contains a level of mystery that isn’t revealed until the last, in explosive fashion. 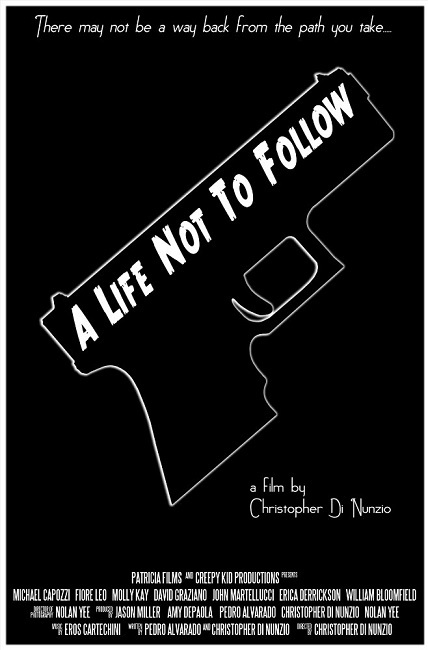 The recent DiNunzio film A Life Not to Follow is no different in that regard, but there’s so much more to it. 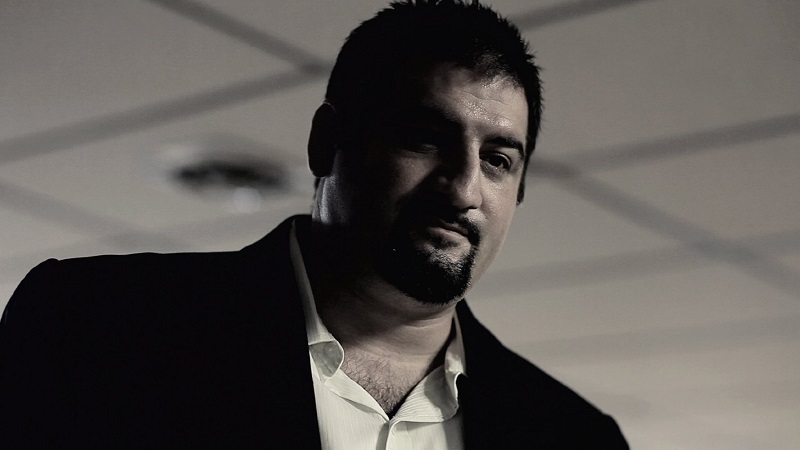 The film follows the split stories of a hitman, a gangster and a private detective. Each man’s story could be a standalone short film, but instead DiNunzio weaves them together in unexpected ways, which certainly keeps the audience on their toes as they attempt to figure out how exactly this puzzle all fits together. The first segment follows Eric, the hitman. Eric is recently released from prison, where he spent the past seven years of his life. Eric’s entire segment, minus flashbacks, takes place in a bar as he prepares to take revenge on the people who sent him to prison to begin with. This portion of the film is overflowing with emotion and revenge in all the best ways. The second segment follows gangster Luca. It’s unclear throughout most of this segment if Luca is supposed to be a “bad guy”, or a “good guy” within the mob. Is he working to undermine the mob boss, or is he working on behalf of him? It’s not until the middle of the segment that we’re sure. Of the three segments this one was both the best done and too long for its own good. Once it becomes clear which side Luca is on there isn’t much to be gained from the 20 minutes or so left in this part of the film. It seemed to go on and on, far past the point of relevance, leading me to believe that the rest is merely filler in order to reach the hour and a half mark. The final segment’s focal point is on the private investigator. DiNunzio tried to give this segment in particular a noir feel, but the effort fell a bit flat. This is the only part of the film featuring narration, which is a little odd after going through two thirds of the film without it. All in all this part doesn’t seem to fit with the rest of the film’s tone and style; almost as if it was filmed as a short and then thrown in, rather than being re-shot to fit the rest of the film. This is the chapter of the film where everything is supposed to be wrapped up with a little bow, and in some ways it does that, but in other ways it poses more questions than it answers. 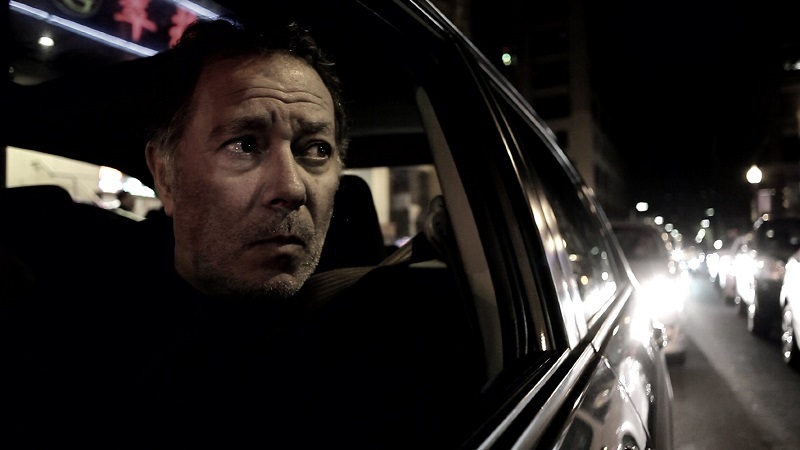 As with DiNunzio’s film Delusion, there are some minor flaws in A Life Not to Follow. Some of the speech is forced and unnatural, some of the scenes last far longer than they should, and certain parts of the film try too hard to be what they’re not. For any fan of truly indie film though, these are inconsequential flubs in an otherwise good story. A Life Not to Follow is a solid mystery thriller with as many twists and turns as a Twizzler. It’s proof that with practice DiNunzio is learning and growing as a filmmaker with each new offering. It will have you wondering who’s on whose side long after the film itself is over, and isn’t that in itself the mark of a great mystery thriller?